The Superb is Skoda's flagship model. 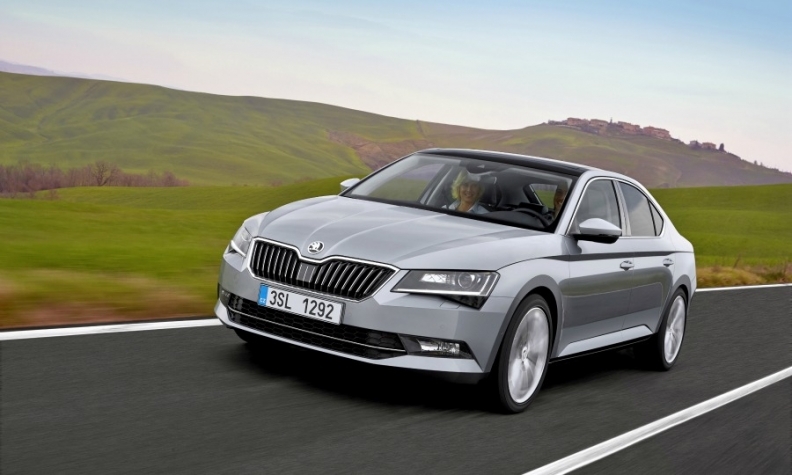 Skoda will bring out a variant of its Superb with a plug-in hybrid powertrain in 2019, a company spokesman confirmed to Automobilwoche, a sister publication of Automotive News Europe. The Volkswagen Group brand's top model will borrow hybrid technology already used in the VW Passat GTE, which is powered by an electric motor and a four-cylinder turbocharged gasoline engine. A full electric vehicle is expected to soon follow. The number of electrified Skoda models is due to rise to five by 2025. No details have been announced on other planned models. But it is likely that Skoda will bring out a battery powered Citigo based on the VW eUp. It is not yet clear whether the other vehicles will be purely electric cars or plug-in hybrids. Skoda is due to announce details on its electrification program early next year. VW's Czech-based subsidiary has long done without electrically powered cars in its lineup. The reason is the high price of these vehicles. Although Skoda benefits from the VW Group's development work and purchasing power, electric cars are still more expensive than their conventionally powered counterparts due to the high cost of the batteries. This poses a problem for brands that rely as heavily on low prices as Skoda does. But now emissions limits are becoming so strict that the brand can no longer get around electric vehicles. Skoda also sees electrified vehicles as important in its key market of China.